Dreaming with lava suggests that there will be good developments and happy events in your life. Lava may be a sign of a person who is trustable, respected by all family and protector of obressed people. Also, to see lava in your dream signifies sexual feelings and love affairs. You will meet new people and you will have exciting relationships, as a result you will have good times. Alternatively, the dream of lava suggests that you will take a great risk but you will overcome the difficulties and be successful. 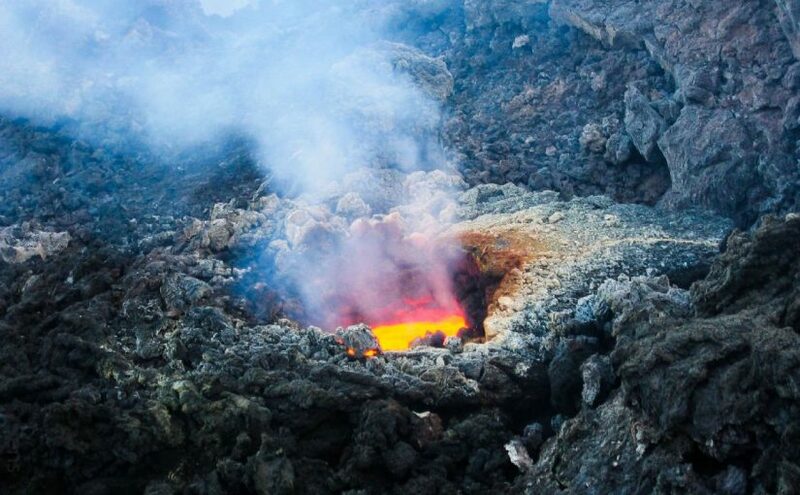 Lava explosion in your dream means that you will experience something which will change your whole life positively and make you happier then before. Besides, to dream that lava is exploding, may represent anger and violence. Volcano in your dream is a sign of great happiness, fortitude and fortune. It suggests that you will obtain what you desire and your dreams will become real. Also, to dream that volcano is erupting may represent that you will lose control of your emotions and you are by the way of bursting. To see a volcano is erupting in your dream denotes that you will be successful in your commercial life and find happiness in private life. It illustrates that you will succeed in your objectives. Alternatively, dreaming with volcanic eruption may a sign of your anger towards a situation. Besides, erupting a volcano in your dream may symbolize that an issue from your past will come into question again. To dream that you are escaping from a volcano indicates that you will realize something is wrong with your work, you will take actions about this problem and you are able to avoid a possible lose. Besides, dreaming of escaping from a volcano implies that you will stand away from evil-minded person and will get out of a scrape due to this manner. Yo can find more detailed dream interpretation of volcano in the link.